Samsung makes great devices, maybe the best in their categories and I don’t think anyone can argue that. Here is why I think Samsung doesn’t get enough credit. I will limit the scope of my thoughts to Samsung’s mobile devices, specifically the Galaxy S and Note lines of its mobile phones. Samsung focuses more on usability. Samsung phones are generally more user-friendly than their competitors in the same budget range. The 18:9 aspect ratio is a new phenomenon on recent phones that is catching on a lot. Every midrange to expensive range phone is now 18:9. Though it looks absolutely gorgeous it does present a problem of navigation. The longer screen means it takes more stretch to manipulate top-level buttons like swiping down the notification bar. Samsung's new OneUI solves this problem perfectly. It does so by shifting all the interactable buttons to the lower half of the screen to ease reach. Samsung still keeps the 3.5mm headphone jack on all its phones years after its slaughter began with Apple’s iPhone 7. Though Apple has been able to bridge the some of the gap with its AirPods, it costs one hundred and sixty dollars on Apple’s website and it means your good headphones with the 3.5mm connector which many people have is wasting. Samsung still thinks the headphone jack should still be an essential feature of their smartphones. That is because of how easy and convenient it is to use a headphone jack than it is to use the USB Type C adapters for listening audio. One of the most hated aspects of Samsung is how slow their phones get software updates. It's super slow and these phones also don’t get support for long. The Samsung Galaxy S8 and the note 8 only just got the Android Oreo updates just a few months ago when the Pixel devices were already running Pie developer previews. This particular aspect may even deter some from buying Samsung phones. While I agree this rate of software update is too slow for a tech giant like Samsung, it’s reasons are understandable. Samsung is very critical about sending out software they have not tested and debugged to the max. Samsung isn’t taking chances with the good track record it has been able to maintain over the years when it comes to software. If applying software updates to an older device would make it less reliable than it currently is, they won’t do it. That is why Samsung phones get very few software crashes if at all. Samsung software is the best in the business, at least to me. Some may argue its Apple. While Apple does have excellent software, Samsung deserves more credit because they can implement software which they don’t make (that is android made by Google) to a device whose components are designed and made by other companies like the Snapdragon processor from Qualcomm etc with such finesse. That takes more effort than tuning software made specifically for a device made by the same company. iOS is made for the iPhone by Apple. Most if not all the components which directly affects the way the software runs in the iPhone is designed and made for the iPhone by Apple which is far easier to do. This is also the same reason final cut pro rendering is so fast on the Mac than Premiere is on a windows machine. I have a bittersweet relationship with LG. I really want to like their phones but they don’t deliver, especially when it comes to software. Even up to their more recent flagships like the LG G6, LG has not been able to deal with boot loop issues which have plagued virtually all LG phones. I currently use the LG G4, one of the best phones LG has ever made in my opinion. I have been using it for a while now and it’s getting kind of slow which is understandable considering the number of apps and data I have in there. Doing a factory reset on the phone would considerably make it faster but I can’t bring myself to do it because I fear it could go into a boot loop which is a point of no return for the G4. Not to talk about the thermal issues the phone has. LG just only recently made promises to improve its software when it created a whole new software division for its phones. This move came very late when they had already lost most of their market shares. This point could backfire on me if you think about Samsung introducing the iris scanner as a secure way to unlock your phone. That was a half-baked technology because it had so many quirks. I would like to think Samsung has learned from that. The in-display fingerprint sensor came on the scene a few months ago. Vivo has already made it a mainstream technology in phones like the Vivo V11 pro. A lot of people were anticipating that this technology would have made its way into Samsung devices by now, even back to the Galaxy S9. We are at the Note 9 but still nothing. 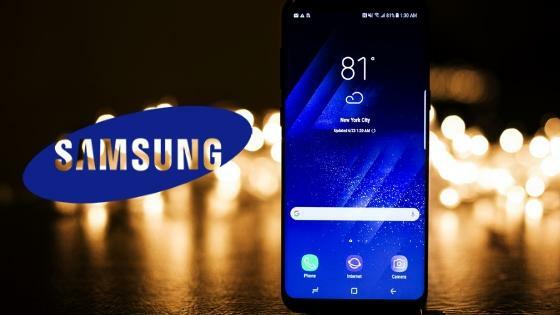 It's only now leaks of the Samsung Galaxy S10 may have an in-display fingerprint sensor would make its way into the upcoming Samsung Galaxy S10 or another device some belief would be called the Samsung Galaxy X.
Samsung does not want to repeat the iris scanner scenario. The challenge with the on-screen fingerprint sensor is speed. It is quite noticeably slow. Vivo is dealing with the slow speed by using clever unlock animations which makes it less noticeable. I don’t think Samsung would use the in-display fingerprint sensor on its device if it can’t get normal fingerprint reader speeds. Besides, even without the on-screen fingerprint sensors, Samsung phones will still be the best phones you can get right now. Furthermore, the fingerprint sensor it currently uses and the much better iris scanner is quite sufficient for securing these phones. Samsung further pushed out the top and bottom bezels of the Galaxy Note 9. But what you may not have noticed is that Samsung widened the side bezels of the Note 9. This results in a slightly lower screen to body ratio from 84.2 percent in the S9+ to 83.4 percent for the Note 9 which is somewhat a risky move seeing how far other companies are going to bring up those number like the Oppo which has gone as far as putting motorized cameras in phones like the OPPO Find X which has a screen to body ratio of 87.0 percent. From a usability perspective, it renders a noticeable improvement over the S9+ especially when reaching across the screen. This somewhat counter-intuitive design change reduces the chances of involuntary touches when reaching across the screen which makes it more usable than the S9+. So thinner bezels are not always the answer for Samsung, especially with their curved design displays. One of Apple’s philosophies when it comes to listening to what their customers want on their devices is that “a customer doesn’t really know what he wants”. By that, they can’t give any valuable input that would make the next iteration of any Apple product better than the last. That is why Apple is not active on social media which is where producers or manufacturers communicate with their customers. To an extent, that philosophy has worked out very well for Apple. But it’s not so with Samsung or in fact any other Android-powered device manufacturer. You see, Apple produces all the iOS-powered devices available and there is nowhere to go if there is something about their device you don’t like. But with Android-powered devices, as soon as an aspect of a device bothers you, you go out for another option which there are many. Samsung has to listen to its customers to provide what they want so that they can stay relevant. I think That is why TouchWiz, their skin on Android is closer to stock than ever before though it’s still very far off. So many people wish Samsung could make a smartphone with stock android which I would also like but I don’t think that is going to happen any time soon. Though Samsung can’t grant that wish (for unknown reasons) the latest TouchWiz steps out to a stock android feel to a very small extent in their most recent flagship devices than in phones like the Note 3. Conclusively, Samsung’s goal is to make a device which is as user-friendly and reliable as possible and I think they have achieved that with the Samsung Galaxy Note 9. It does come at a hefty price but should really not be an issue considering the amount of phone you get in the Note 9. I don’t think Samsung gets enough credit for it.